A Restraining/Protective Order is an order signed by a Judge that grants the petitioner certain rights of protection against another person. In Indiana, a violation of this order is addressed under Indiana Code: 35-46-1-15.1, “Invasion of Privacy”. The offense is a Class A Misdemeanor, unless the perpetrator has a previous unrelated conviction for Invasion of Privacy. A prior conviction heightens the offense to a Class D Felony. Officers do not have to witness the violation to make an immediate arrest; however, they do need probable cause to believe the violation has occurred. These orders give law enforcement officers a valuable tool to combat violence in their jurisdictions. An application for a Restraining/Protective Order is made in the form of an affidavit. These affidavits are available at the Switzerland County Clerk’s Office at the Switzerland County Courthouse during normal courthouse hours. Please call them at 812-427-3175 to inquire if there are any fees associated with the filing of this affidavit. Forms can also be downloaded from the State of Indiana at http://www.in.gov/judiciary/center/2645.htm. Keep in mind that the Switzerland County Sheriff’s Office cannot issue Restraining/Protective Orders. We only enforce them. 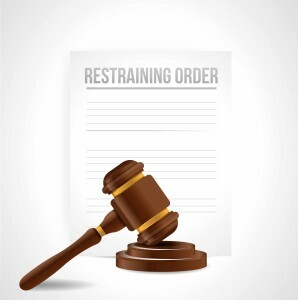 WHO QUALIFIES FOR A RESTRAINING/PROTECTIVE ORDER? In very general terms; When you have received threats from a person(s) to cause you bodily harm or death, or threats to do damage to your property, or when you have actually been harmed physically, or your property has been damaged, and it is likely to occur again. If you have questions regarding your specific circumstances, call the courts and inquire as to whether you qualify for the order, or refer your questions to an attorney. We do not decide who can file an affidavit. I HAVE FILED, NOW WHAT HAPPENS? Once you have filed your affidavit with the Clerk of Courts, they will process the paperwork and send it up to the Judge for review. The Judge will review the application and file an order with the courts if he grants the request. The court will forward copies of the order to the Sheriff’s Office for serving. The Sheriff’s Office will serve all parties involved with the order. The parties involved will have to appear in court to give testimony before the Judge. The date and time of the court hearing is listed on the initial Judge’s order. This court hearing determines whether the order becomes a permanent order or not. Permanent orders are valid for 2 years from the date of issuance. If the restrained party violates the order, call the Sheriff’s Office or Police Department where you live and report the facts which lead you to believe the order has been violated.